I had some leftover leeks, so I decided to make potato leek soup. 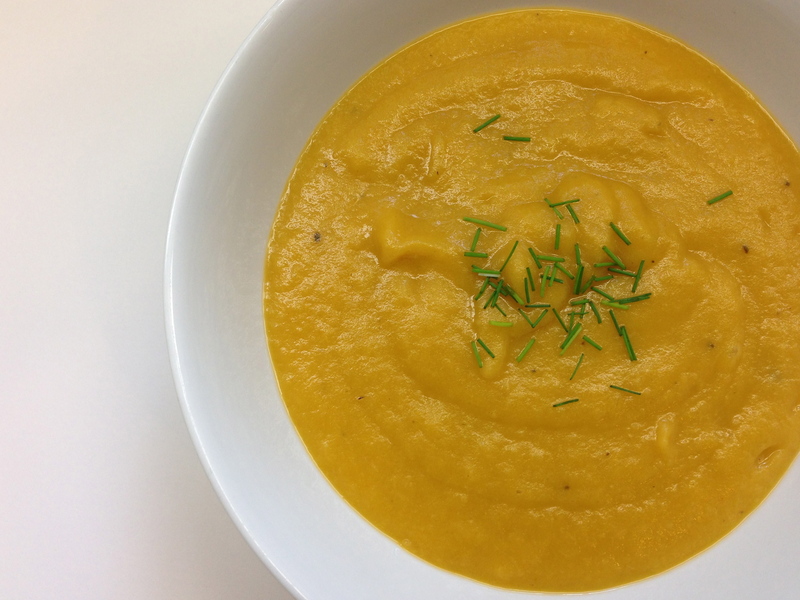 Not only is this soup delicious and so easy to make, it is gluten-free and vegetarian! The yellow-orange color comes from the vegetable broth I used. Heat olive oil over medium heat in a large pan (3.5 quart with lid). Add leeks and stir occasionally for 3 to 4 minutes, until leeks get soft. Stir in potatoes and cook for about 10 minutes. Add broth and cover. Simmer for 30 minutes, until potatoes are tender. Transfer to a blender and liquefy. Add salt and pepper to taste. You may want to reheat soup in microwave or in large saucepan on cooktop. When ready to serve, sprinkle with chives. Serves 4. Thank you much for your kind words! So glad that you find my blog helpful! a little ϲomment to support yoս. I appreciate that you took your time to comment. Thank you.